But that orange color on the bulb is just nice and bright! 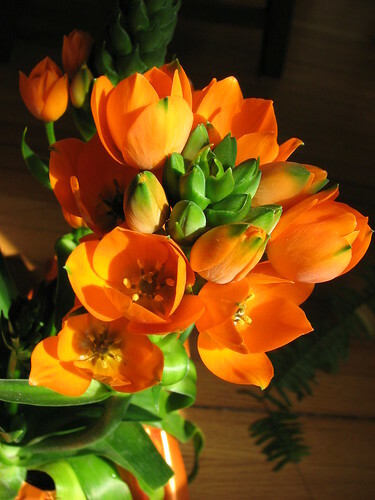 Hi Bintie, I saw that same plant at the grocer's and looked at it very carefully. 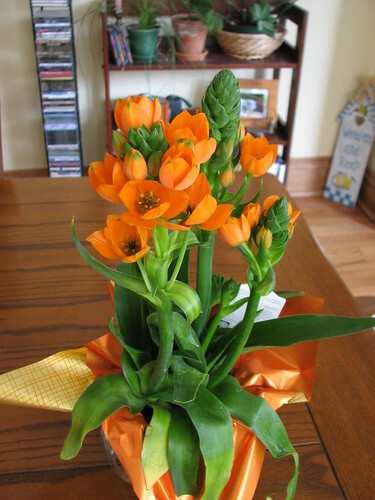 Since many of the ornithogalum's are hardy here in TN I was excited. Reading on down the tag, it said zones 9-10. It would have to be kept inside during the winter so I didn't buy it. But man, it was a beauty! I wanted an Easter lily too, but missed the window of opportunity with that one. They are all gone now.